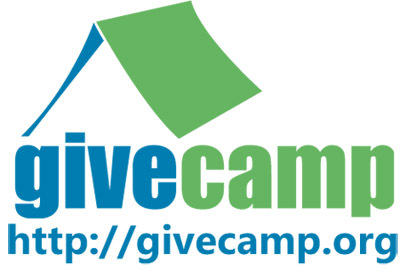 This weekend 22 Non-Profit Organizations and over 180 Volunteers willbe gathering on Microsoft’s campus in Redmond, Washington for the 4th annual Seattle Givecamp, a weekend-long “hackathon” style event where software developers, website wonks, project managers and designers donate their time to design and build solutions for non-profit organizations in need. From health and wildlife outreach programs to community food coalitions, participating non-profits submit technology projects that require assistance they don’t have funding or expertise to carry out. Volunteers will gather on Friday to learn more about each Organizations’s Project, form teams, and spend the rest of the weekend (often working through the night) hacking together solutions. On Saturday morning I will be leading a 2-hour workshop for participating organizations and volunteers on how to better leverage WordPress on their projects during the weekend and beyond. Many of the participating organizations are either already using WordPress, or have identified their project as requiring a WordPress component. In my session I will cover a variety of WordPress topics ranging from how to start using WordPress for the first time, to using some it’s more advanced APIs, to simple every day tips and tricks. The session will be Saturday morning from 10am to noon, and is open to the general public. For more information about GiveCamp visit http://seattlegivecamp.org/ and follow them on twitter @SeattleGivecamp. Best of luck to all the project teams this weekend, and if you’re in the Seattle area I hope to see you there!